THE GOVERNMENT IS making over €200,000 available for local authorities to use to host “mattress amnesty” events. The Department of Communication, Climate Action and Environment told TheJournal.ie that 44 mattress amnesty events will be taking place over the summer months. Among them is Galway County Council’s event, which is being held today between 10am and 1pm at Tuam Recycling Centre on the Athenry Road, Tuam. In a statement, the council said that the service would be provided free of charge, and that only “clean, dry mattresses” will be accepted. Other local councils that have applied for funding to host events include Carlow County Council (3 events), Donegal County Council (6 events), Laois County Council (4 events), and Roscommon County Council (7 events). Have you an old mattress you want to dispose of? Bring your unwanted mattress to Ballymount civic amenity on Saturday 11 August 2018 between 9am and 5pm. This is just for Household Customers and for one day only. NO Commercial customers, furniture/bedding will be accepted. Clean Dry Mattresses only with be accepted Free of Charge. But one Dublin councillor, Fianna Fáil’s Daithí de Róiste, said he didn’t understand the need to host such events, saying that the funding could be put to better use elsewhere. “There’s a problem with illegal dumping full stop. It’s not that you just notice mattresses all the time, and there is a much bigger problem with household rubbish,” he told TheJournal.ie. The idea of a Mattress Amnesty is nuts and there’s a number of problems with it – one is how do people transport them: are they expecting people to strap them to the roof of their cars? In a statement to TheJournal.ie, the Department of Environment said that it was hoped the mattress amnesties would “prevent instances of illegal dumping”. Minister Denis Naughten emphasised that “these amnesties have the potential to change illegal dumping behaviour beyond the funding period by creating awareness of the recycling services and options available to the public in managing their bulky waste and promoting pride in our country’s appearance”. The amnesties allow householders to drop off old, unwanted mattresses to designated collection centres free of charge. 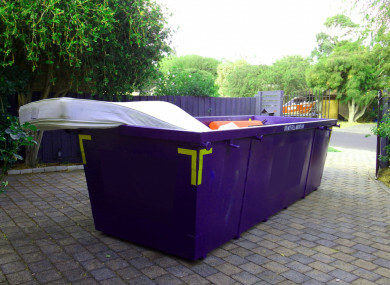 Local authorities are collaborating with a number of mattress recycling facilities to ensure that all the mattresses collected at these events are recycled and diverted from landfill. Highlighting a current piece of research by the EPA into this specific waste stream, Minister Naughten said there was “potential here to develop a sustainable collection and recycling model for this waste stream”. Email “The government is giving €200k to local councils to hold mattress amnesties”. Feedback on “The government is giving €200k to local councils to hold mattress amnesties”.